Using Yoga for Anger Management is very fruitful and beneficial in your day to day life. We all have those triggers or buttons people push that can make us angry. It’s just part of human behavior. Lots of things can make us mad. However, there are ways to control that anger. You wake up in the morning, get all ready to go to work, and find your car has a flat tire. At work, you get passed over for the promotion that you really wanted and were really hyped up about. Your kid failed their final exam at school, they didn’t study because they were up all night playing video games. When you least expected it, your boyfriend or girlfriend broke up with you. The cat got sick on the living room rug in the middle of the night, leaving a nice mess for you to clean up. Some of us respond to negative situations with anger and all of these situations and many more can make us angry. We curse up a storm or punch the wall, for example. Some of us repress these feelings and keep pushing them down inside ourselves until something happens that pushes us over the edge, and we go ballistic. It’s perfectly normal to be angry, but sometimes when we project that anger towards other people in our lives, that can definitely strain those relationships. Instead of going into “Incredible Hulk” mode and taking out your rage on an object or a person, take a moment to think. How important was the thing that made you really mad? Does it really matter, or is it just an annoyance that you have to deal with? Next, stop to think about what you could or could not have done about the situation. Sometimes you could have done something differently but much of the time what happened was out of your control. 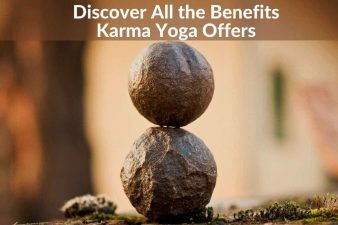 One way to deal with these irritating issues is by using Yoga for anger management through Meditation. It’s probably not the first thing you think about in the heat of the moment, sometimes your emotions just take over before you can stop to think. The times when we’re angry or stressed are exactly when we need to focus. It’s hard to do, but taking a few extra moments to step back and meditate will help. It just takes practice. 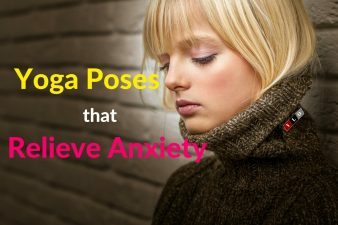 Yoga for anger management using meditation techniques can help you handle the situation at hand. If you got passed over for the promotion, meditation can help you assess the reality of what happened. If you did your best and gave it your all at the interview, then you know that the end decision was out of your control. Instead of seeing getting passed over as a personal affront, meditation can help you view the experience as a life lesson. You may even want to ask for feedback from the person or persons who interviewed you to get pointers as to what you did well in the interview, and what you could improve on for the next available promotion. By focusing on the positive and remembering your strengths, you can let the anger and disappointment slowly fade away. Meditation can also help you solve problems that you just can’t seem to find answers for. Sometimes you get locked into a project and eventually run into a roadblock along the way. Instead of getting angry and throwing all of your hard work away in disgust, take a few moments to meditate and reflect on the problem. Look at the situation, what you’ve done to work on the problem and the possible solutions you’ve come up with so far. You might want to talk to a co-worker or two to get their outside opinions on the situation or discuss the situation with your supervisor. In the end, by taking a step back, you can usually find the answer to the question you’ve been working on, and that answer is probably the one you didn’t expect to find when you first took on that project. 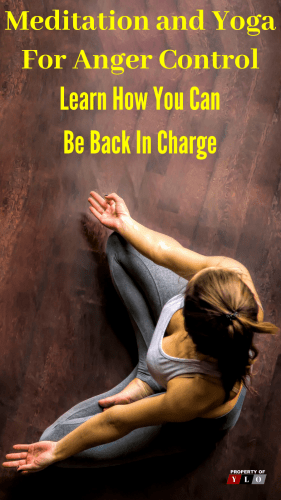 You need some time for yoga poses and mediation for focused thought. This often helps us find not only calmness and peace, but if we have enough quiet time to think and focus, we can often find creative solutions to some of life’s obstacles. Meditation helps us find answers to most of the problems bothering us. It allows your mind to dip into the subconscious of our thoughts and knowledge. Finding the answer or a creative solution also helps us forget why we were even angry about the situation in the first place. Just meditating for a few minutes a day can help us feel a lot better, no matter what life throws at us. There is a pair of small nuclei inside our brains called the amygdala. The amygdala serves as the brain’s fear center. Fear, anger, negativity, and uncertainty can all stimulate the amygdala which raises the likelihood of anger disorder. This can even lead to some serious physical and mental health issues over time. Cortisol is an age-accelerating hormone in our body that is often released when we are angry or stressed. Having too much cortisol in our bodies can lead to the inability to clear thinking and increased anxiety. It can trigger insomnia, obsessive-compulsive disorder, post-traumatic stress disorder, and other related health issues. The more we let anger and negativity dominate our lives, the worse we usually feel. 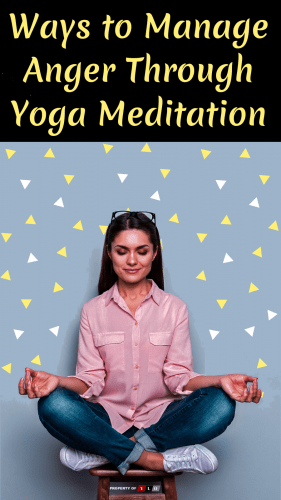 Several studies have shown that meditating even just for a few minutes on a regular basis can help to greatly reduce the amount of cortisol produced in our bodies. 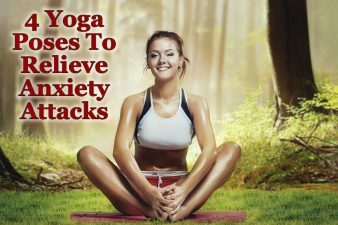 Thus decreasing the likelihood of anxiety, depression and other similar mental and physical ailments. We feel a lot of different things when we get angry. Sometimes we feel an “us against the world” mentality when things go wrong. Sometimes, we get angry over the littlest things. We act out like the world is ending when, in reality, what happened probably wasn’t that big of a deal. Other times we get angry or upset because something nice happened to someone else and we feel like we were scorned or ignored. Life isn’t easy, and it isn’t always fair. Sometimes good things happen to good people, and sometimes bad things happen to good people. It can seem like there’s just no rhyme or reason to why things happen. What we can control is how we react to those negative situations. Refusing to stay down or stewing in negativity and anger are keys to developing our emotional intelligence. Using yoga for anger management through meditating regularly helps us focus on the positive. It helps keep our spirits up even when things seem as though they’re at their worst. We have to concentrate on the positive and refuse to let bad things or bad situations cloud our visions and dreams of the future. When you focus on the positive and make plans and take steps to achieve life goals, you improve your emotional intelligence. Staying angry and negative can be like being stuck in a mud puddle. If you just sit and stew in anger and negativity instead of trying to find a way out, things just get worse instead of better. People with good emotional intelligence usually tend to live positive lives. They have good careers that they enjoy, and good people in their life that they appreciate. They are driven and focused, and care deeply about who and what they value most in their lives. Focused, positive thinking usually leads to positive outcomes. If you believe you can do something and take the necessary steps to achieve those goals, there’s no way you can’t do what you set out to accomplish. Meditation often helps people with good emotional intelligence filter out anger and negativity so that they can live happier lives. This happiness shows in their words and actions. They compliment and help people around them, and they tend to see the good in almost every situation, no matter how positive or negative that situation or environment may be. Some of the most successful athletes, actors and entrepreneurs have overcome difficult obstacles and moments of anger to live positive lives, because they never gave up. Meditation can help calm us down, It can help us forget about anger and negativity and focus on the positive. We all have a lot of good qualities and good people in our lives. 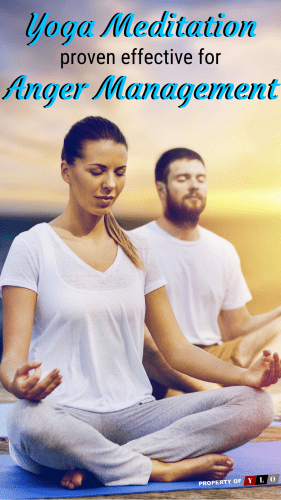 Meditation can be a major factor in living a positive, successful life. Give it a try, even just a few minutes at a time can work wonders on the wounds in our minds.